Karate and Tae Kwon Do tournaments can be intimidating for the beginner and advanced student alike. Now there is a way for you to learn what it takes to become a winner In this introduction to Karate competition you will not only learn some of the rules but you will also get tips on how to score points in both Kata forms and sparring divisions. Do not enter a tournament without watching this program first. About the Coach: Keith D. Yates is a 10th Degree Black Belt and has been teaching the martial arts for almost 40 years. He has authored or co-authored ten books and his over 400 articles have appeared in every major martial arts publication. He is a certified master instructor American Council on Martial Arts and is a member of the Texas Martial Arts Hall of Fame. 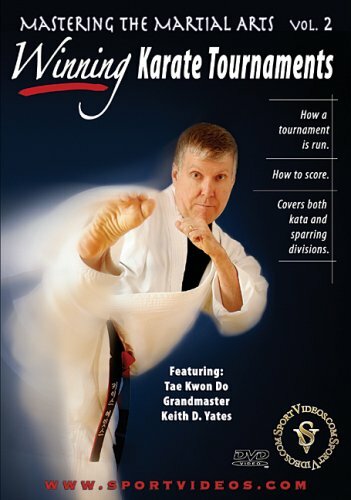 Mr. Yates is the president of the American Karate and Tae Kwon Do Organization.